Paramparai Foundation will take a small group of dancers, teachers and students of dance to Tirupugalur, a village in Tiruvarur district. Over ten days in March/April they will explore the dance text, its choreography and especially the world from where this famous the padavarnam emerged. Tiruvarur town, the Kamalalaya temple tank and huge chariot, the many shrines in the Tyagarajaswami temple, its daily and festival worship - form living sources for abhinaya. In performance, dancers evoke these images for the audience. To see and walk through such manodharma in real time and real space would provide an unique experience and inspiration. This experiment, curated by Saskia Kersenboom, attempts to contextualise the traditional dance repertoire in today’s continuous past. It will draw on related works in poetry, painting, sculpture, music and dance that are seen today in urban venues as well as in temple ritual. Fieldwork will lead to six other Tyagaraja shrines in Tiruvarur district. They form part of local legends on the Tyagaraja cult. During the Pankuni Uttiram festival, Lord Tyagaraja dances his famous ’Ajapa Natanam’. That night he celebrates his reunion with goddess Kamalambika, offering darsan of his left foot: his ‘sakti pada’. For more information visit: www.paramparai.eu/html/pdf/MOHAMANA.when.pdf or www.paramparai.euada. 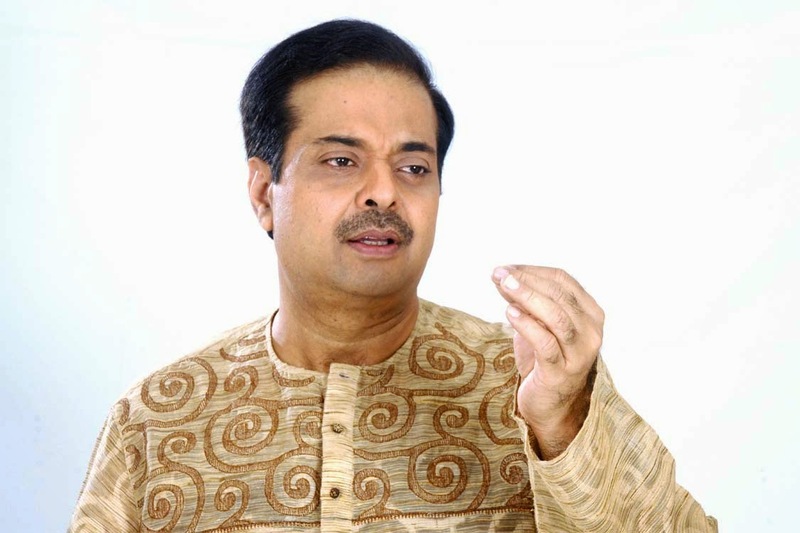 Shekhar Sen has been appointed Chairman of the Central Sangeet Natak Akademi (SNA) for a term of five years. Fifty three-year old Sen (b. 16 February 1961) hails from a musical Bengali family settled in Raipur, Chhattisgarh. He is an accomplished singer, music composer, lyricist and actor. He moved to Mumbai and started his career as a music composer. He subsequently started writing and composing devotional music. He has written, composed and rendered many bhajan albums. As a playwright, he has created and presented several mono-act musicals like Tulsi, Kabeer, Vivekanand, Sanmati, Saahab and Soordas. He has done considerable research on historical and literary themes and produced musicals like Dushyant ne Kaha tha, Madhya Yugeen Kavya, Pakistan ka Hindi Kavya, Meera se Mahadevi tak. Sen has performed to wide acclaim in India and abroad. He has presented his musicals in the U.S.A., the U.K., Belgium, Singapore, Hong Kong, Jakarta, Surinam, South Africa, UAE, Mauritius and Trinidad. His mono-acting musicals – Kabeer which he performed in the Lok Sabha in May 2005, Vivekanand at the Rashtrapati Bhavan in April 2013, and Soordas premiered at NCPA, Mumbai in June 2013, were well appreciated. He served as expert committee member of the Ministry of Human Resource Development, Govt. of India for two years, and as member of the Central Board of Film Certification for four years. Sen has also dabbled in colours and his traditional yet modern paintings stand out for their vibrant flat tones. 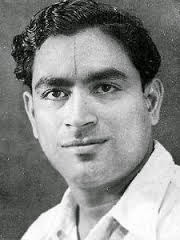 Among the many honours conferred on him, are the Padma Shri from the Government of India (2015), the V. Shantaram Samman by the Maharashtra Rajya Hindi Sahitya Academy (2008) and the Safdar Hashmi Puraskar by the State Sangeet Natak Academy of Uttar Pradesh (2001). Move over, Chennai. Your place as a hub for an annual music extravaganza is likely to be usurped by Kolkata, where the ITC Sangeet Research Academy’s annual sammelan in December 2014 set benchmarks that other organisers could aim for. First, the highlights of the sammelan (5th to 7th, December 2014) before I make my points about lessons that can be learned (by performers as well as organisers). All three days of the sammelan were all night sessions, beginning in the evening around 6 and going on till 7 AM or beyond. (On the last day, the sessions began even earlier, around 3 pm, in order to accommodate an extra session on dhrupad that was not originally in the schedule). The sizeable audience sat through it all, despite the wintry weather and the open air shamiana, every day, all night, till well past daybreak. This SRA annual sammelan is anticipated by music aficionados and genuine rasikas, we are told, because of the quality fare that SRA promises, the selection of the performers not on the basis of their “crowd pulling” reputations but for their musical abilities, and the extra transport arrangements at the end of each session in the early hours, to cover multiple destinations, but more than anything else, the quality of the music. This year’s sammelan focused on SRA’s younger generation of scholar-trainees, selected by a panel to receive scholarships for intensive training under leading gurus. These gurus--each with an enviable reputation as an eminent performer-teacher--are provided with bungalows on campus, with freedom to fashion their one-on-one teaching regimen to suit individual apprentices. The emphasis is on classicism, and the scholars who had a platform to showcase their guru’s training and their own talent, made full use of the opportunity to establish themselves as soon-to-be leading lights on the concert stage. In fact, some of them were so good that they could qualify for ustad status right away. The opening item was a display of rhythmic competence by tabla scholars, of whom the youngest was five years old; most of the group of 13 (including one girl) were not yet ten. Instead of having the conventional lehra (melody repeated on a stringed instrument, to keep track of the tala cycles while the tabla improvises) guru Samar Saha used a tabla tarang by the kids themselves, providing a melodic reference cycle (using tablas tuned to different notes) while individual participants took off on improvised rhythmic variations. This was a novel experiment. Some of the tiny tot tabalchis were barely visible over the top of the tablas they were handling – but their talent was astounding . This was a tribute to the calibre of teaching as well as the rigorous process of choosing scholars with innate talent and unmistakable promise. Some of these kids will soon join the likes of Zakir Hussain as popular icons of percussion, I am sure. 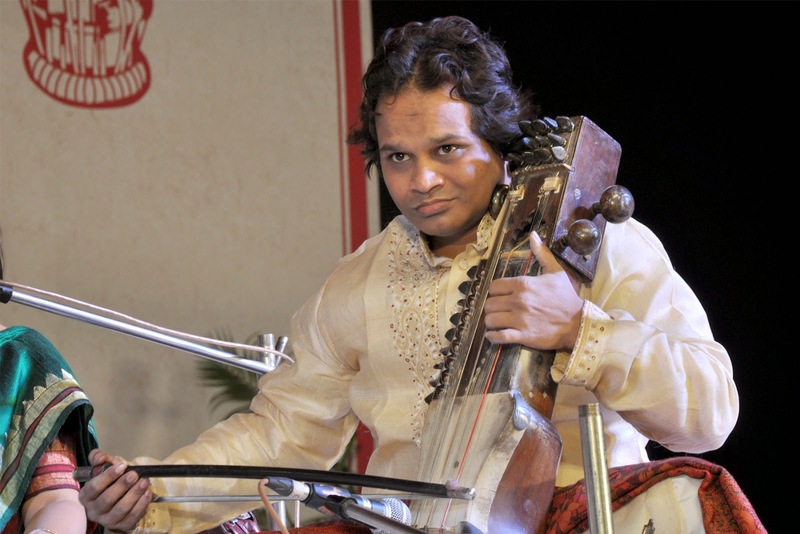 The sarod and sarangi have very few exponents today among the younger generation (especially the sarangi, which is a difficult instrument) but young Mallar Rakshit and Abir Hossain (sarod) and Sarwar Hussain (sarangi) restored our faith in the future of these traditional instruments in the hands of Gen-Next. Every one of the vocalist scholars, both girls and boys, sang with a ”khula awaz” (full throated, open voice) especially in the upper octave, which was a treat, testifying to the strict standards that the gurus insist on (no false voice, no short cuts). Anyone can teach the intricacies. Only a senior guru can insist on uncompromising standards in basics like voice production. Every vocalist scholar also stuck to “sureelapan” (sounding aesthetically melodious ) especially in holding the top shadja, while instrumentalists like Saket Sahu who played the violin, displayed a maturity and skill that marked them as front ranking artistes, despite their age. That was a testimony to their training under SRA’s gurus as well as the scholars’ innate musical talent. Even if I am only mentioning a few names, all of the participants were awesome; there was not a false note, not one recital that was below par, in all the three days of extended sessions. Each day’s schedule included also a recital by a senior guru. The first day saw Pandit Ulhas Kashalkar, one of today’s leading vocalists and one of the most popular gurus at SRA, treat the audience through the night, before signing off with the morning raga Bibhas (at 7 AM) and the popular thumri Jamuna ke teer in raga Bhairavi (by popular demand) while the last day had octogenarian Girija Devi perform with incredible verve and stamina, assisted by two of her understudy scholars. In over half a century of attending music conferences and sammelans, I have never seen one that had participants ranging from a gifted five year old to an 87 year old, both equally spell binding. Uday Bhawalkar, a young guru at SRA, took the stage on the last day, to present a very impressive dhrupad in raga Adbhut Kalyan. He announced that this raga which eschews both the madhyama and the panchama, is known as Nirosh in the south but I could find neither Adbhut Kalyan nor Nirosh in any of the comprehensive lists of ragas that I have access to (including Ranga Ramanuja Iyengar’s compendium, Bhatkhande’s books, and the 500 raga listing published by Dr Lakshminarayan Garg of Hathras who brings out a comprehensive monthly magazine called Sangeet in Hindi). Using just sa, ri , ga, dha and ni, (of Bilawal or Sankarabharanam scale) Bhawalkar spun out the item for a full hour, accompanied by a young pakhawaj artiste (again, another instrument that has very few practitioners, due to the decline of the dhrupad form itself). And he made it sound melodious too, not just a tight rope circus item despite the absence of both ma and pa. It was a musical feat. Notwithstanding the esoteric form and the rare raga, the audience heard him out with interest ,respect and appreciation. How does one commend an audience too – for providing the right ambience for listening, without any show, or distraction ? There were no ‘page 3’ personalities, or VIPs, flaunting new shades of an exclusively woven sari, or diamonds, or gossip. At one point, when the stage was being reset for the next item, there was complete silence in the audience for several minutes. I have never seen anything like this before. The bane of many a performer today, is the distraction of an indifferent audience. A keen and receptive one draws out the best in a performer and lets him/her rise to greater heights. This is what a sammelan should be like, I caught myself saying. We all stayed awake through the night, for three consecutive days, for a veritable feast of good, unadulterated, high class music. Including the recitals by the youngsters, mostly teenagers, including t he daughter of Pandit Suresh Talwalkar of Mumbai who matched her distinguished father stroke for stroke on the tabla. Entry to the sammelan sessions was free, and though the first two rows of seats in the audience were reserved for gurus and parents of scholars, I saw no “press enclosure”, unlike in other prestigious sammelans. SRA is an ITC entity, part of a corporate set-up, but where the music sammelan was concerned, there was no pandering to the press by the organisers or to the gallery by the performers, no advertisements, no hoardings, no banners, no flaunting of products (even ITC ‘s own brands like Ashirwad or Sunfeast). Just music, good classical music, and more music, from beginning to end, whether it was a teenage scholar performing, or a veteran guru. Last year an Italian sitar player, Fulvio Koren, was at SRA for training, and this year there is a Japanese girl, Eri Yamaguchi, a south American (who sat onstage behind Girija Devi, helping with the tanpura) and a Pakistani girl Maham Suhail, from Lahore. The sammelan has also established a collaboration with the Bangladesh Foundation, for cultural exchange . Perhaps SRA could become a hub for south Asian networking, a kind of cultural SAARC, since we share musical roots and heritage. 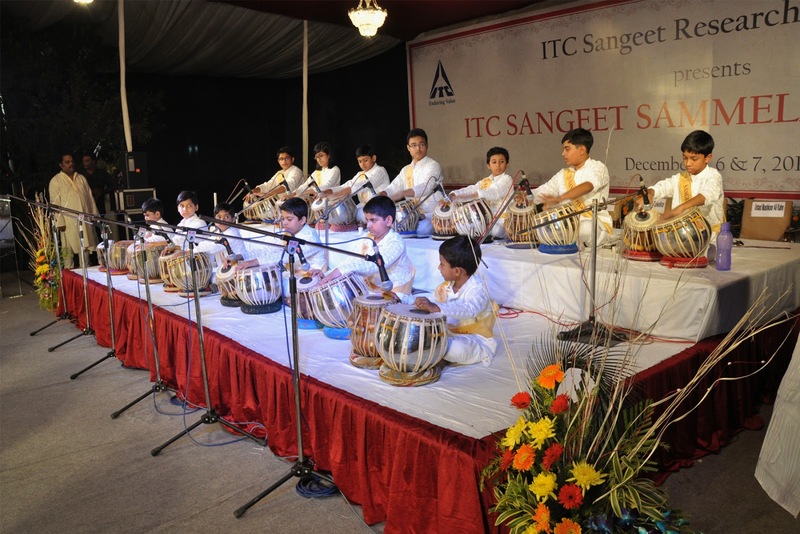 Last year, ITC-SRA collaborated in holding a music festival in Dhaka where the audience was reportedly over 31,000 strong. Leading flutist Hari Prasad Chaurasia echoed my sentiments when he commented that he felt “jealous” of SRA’s scholars, since they “get everything”. Quite. Along with music, the gurus also impart related cultural lifestyle ethics – there is much “touching of feet” (not just one’s own guru’s, but those of all the elders who teach at SRA) as a mark of respect for mentors. At the same time, once the disciple takes the stage, he/she is trained to perform with great self-assurance and aplomb (after paying the ritual obeisance to the guru). There is camaraderie, rather than jostling for primacy, among the scholars, who encourage and appreciate each other in a spirit that sidelines everything except musical scholarship. SRA’s initiative for training future generations of eminent musicians is a unique revival of the traditional gurukul, with disciples having access 24X7 to their mentors and gurus. The green and spacious campus ambience adds to the enriching atmosphere that scholars are fortunate to live and learn in. The team of gurus at SRA includes centenarian Ustad Abdul Rashid Khan who still turns up to attend sammelan sessions. In addition, SRA ensures that there is minimal interference in the process of learning, with rules interpreted to suit each individual prodigy, backed by an administrative and executive team that ensures that the annual sammelan is something all connoisseurs eagerly look forward to. The two Vishnus (Paluskar and Bhatkhande) provided the foundation to the credo that learning-and-performing music is not contradictory to thinking and theorizing about it. A major concern among educators and researchers is how to enhance the understanding of Indian performing arts in general, but music in particular, as a field of analytical, university-based study. For a student, who pursues music as a university discipline, both knowledge in music and knowledge about music are essential. In other words, music education requires a basic training in music followed by performance experience of decades and guidance to produce quality research in various sub-disciplines of music. Training enables one to acquire the skill to perform, while knowledge about it points to gaining an academic understanding. The final goal of a university system is research, where the student is trained to understand the subject individually all by himself and put it to collective scrutiny by standard university disciplines. The moot question is whether the universities are supposed to produce concert artists or quality researchers. Concert artists have emerged rather than are produced, but researchers can be moulded and guided. Serious research in music departments is a desideratum. The life and achievements of Professor VV Sadagopan, whose centenary year this is, gives us an idea of the emergence of an artist and an educator who wanted music for all! A comparison of the career graphs of GNB and VVS reveal similarities as well as differences between two brilliant youngsters who followed two different paths to excellence. GNB’s graph shows a brilliant student phase (1931), recognition by the Music Academy (1937), entry into the tinsel world (1940), conferment of the Sangita Kalanidhi title (1958) and finally appointment as the Principal of the Swathi Tirunal College, Trivandrum in 1964. VVS’s career began with a triple First class in BA (1934), migration to Chennai with an ICS dream (1935), accidental entry into films as a singing star in Navayuvan, Adhrishtam and Madanakamarajan, a reasonably successful concert career in the 40s and 50s, directorship of music studies at Gandhigram (1956-59) and finally a professorship in Delhi University during 1959-75. Both GNB and VVS must have gone through the twenties triangle of the times (Quarter-Life Crisis as against Mid-life crisis), with the three questions- Who am I? What do I want? How am I to achieve it? 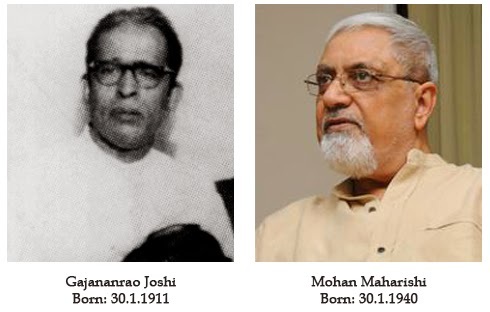 Both entered music field, when sampradaya was being recast in a post-industrial modern world, through an effort to put in the authentic form of the real music of the country, driven by nationalism. The social milieu and performance had changed, new patrons were in place of the old, new sensibilities informed the ‘reception’ and ‘representation’ of music and a middle class elite of Madras constituted the modern canon of sampradaya. Concert etiquette was typified by Ariyakudi Ramanuja Iyengar. While examining the Carnatic tradition, Sadagopan realised the importance of devonational music. The tradition, in both the South and North, bequeathed the rich legacy of Bhagavata music. In its main form, it was musical worship of a high order. There was enough space for the most gifted musician, the less gifted as well as the layman. Besides a variety of musical forms, it had place for drama as well. The Dasa tradition gave us the distilled essence of ragas, bhavas and talas. The Trinity gave us kritis, and the post Trinity generation transmitted the tradition in a scholarly manner. Sadagopan’s ideas on sampradaya and change are reflected in his appreciation of Ariyakudi. “The significant contribution of Ramanuja Iyengar to Karnatak Music, was to demonstrate that Sampradaya in its best sense was something organic and dynamic, which had its roots firmly in the soil of the musical wisdom of the past, but stretched out to receive all new ideas that could happily blend with the old. He was a great living link in the continuing and vibrant tradition of Karnatak Music. Not only did he adapt himself to the times, but also left his impress on the era. He was a great reconciler, reconciling the past and the present, tradition and innovation, abandon and deliberation. In sastraic terms, he was a Bhavukottama.” Iyengar reconciled the contradictions between sastra and sampradaya of the early 20th century music field. VVS felt the impact of the role of publishing manuscripts and treatises. In fact the main difference between Gurukula and Institutionalised teaching, was this, at that stage. He noticed that neither the concert environment nor the universities offered a forum for resolving contradictions between theory and practice or aesthetic perception (Lakshya) and intellectual abstraction (Lakshana). He advocated that sastras were to be studied in original, with a caution that sastras incorporated changes with changing times. His friendship with Dr Premalata Sharma of Benares University is the best example of his professed faith in the fundamental research of sastras. He went on to classify sastrakaras as those who handled high art themselves, those who perceived it from secondary and tertiary sources, and compilers who were bhasha gnanis. Raga, prabanda, tala, mela , swara and sruti needed to be researched comprehensively in a holistic manner and not in a piecemeal way. All these ideas landed him in his ultimate mission Tyagabharati , during 1966-80. VVS strove to combine the finer values of gurukula with the methods of modern scholarship of the 1960s and 70s. He visited several overseas centres like Moscow (1966), Belgrade (1969) and Perth (1974) during this period. He came to the conclusion that before any instruction on forms and formalities of the particular musical culture, or sub-culture began, we should devote ourselves to the drawing out of inner joy or ananda. He once suggested we greet each by saying ''anandam'' rather than ''good morning'' or ''good evening.'' Children should grow with joy, courage and freedom and a discipline born out of these attributes. The fundamental principle is joy, suggestion must be the method, the emphasis should be on the imaginative and creative experience of music and teaching should follow a “flow-form-flow” spiral. He was clearly in favour of lakshya (aesthetic perception) over lakshana (intellectual abstraction) at school, college or university. Joy is the natural state of any child. It is the motivation for self-expression, as well as the means. It is the subject as well as the object. Joy must be traced, tapped and used. Joy also has a base in rhythm. It has roots in the imagination of the child, which can conceive all the wonders of the world. Music as an expression should be the starting point of music education. This should be followed by an awareness of the level of musical perception. VVS identified three broad stages as the fundamental, the functional and the professional. For a child, rhythm and movement come first. Melody comes next, simple tunes with a dominant rhythmic element can be easily learnt. Every language has nursery rhymes, nonsense rhymes and playful jingles. Music should be introduced through story-telling and dramatics. Group singing is also important, because it gives us the joy of sharing. In short, Thyagabharati is a mission in Integrative Music Education. Over the years, it has spread its service to reach growing children everywhere, in schools, homes and social circles. It would be appropriate to produce an extract from the writings of Professor. Dimitrje Stefanović of the Musicological Institute, Belgrade. Sadagopan authored Folk Music and Dance in Tamil Nadu (1955), he edited the Indian Music Journal during the period 1964-80 and wrote under the pen name of Nandan ( A musical pariah). His skill as a tunesmith came to the fore when he composed music and notation for Ambujam Krishna in Gitamala I. He created a few compositions like Sada enadu in Manohari, sung by Ananthalakshmi Sadagopan and Palukina matalu vinaleta in Sankarabharanam and Kandan karunai purindu in Vachaspati. VVS tuned Kamba Ramayana songs for TKC in the pallavi-anupallavi-charanam format and gave a three- hour concert. We could count only four disciples of his, including my father the late Dr TV Kuppuswamy, KR Sundaresan, Leela Omacherry and Sri Ram Bharati. He was a guide, philospher and friend of my father and remains an inspiration to me and those who knew him well. To our great pleasure, the triad of Tag Centre, Karnatik Music Forum and Sruti succeeded in unearthing some promising vocalists at the end of our six-day long talent search in January 2015 at the TAG Centre. Out of the 18 voices shortlisted from among 70-odd applicants (by listening to their CDs), five were selected by a three-member jury of vidushis Seetha Narayanan, Vijayalakshmi Subramaniam and Jayalakshmi Sekhar. The selection was based on the percentile method styled the BITS Pilani method by RT Chari – the founder of the TAG group – whose brainchild the whole programme ‘Five for the Future’ was. Impartiality was ensured by the complete absence of discussion among the judges as well as the organisers. The marksheets were, for instance, collected from the judges, who sat far apart, immediately after each 55-minute concert. Surprisingly, an audience poll showed very similar results. The most delightful aspect of the results was the emergence of singers from outside Chennai as the top five voices. They were Anupam Shankar (Delhi), Harikrishnan (Ernakulam), Kruti Bhat (USA), Mahathi (Calicut), and Sivaganesh (Bengaluru). The selected vocalists received cash awards of Rs. 5000 each and a promise that two of them would be featured in TAG’s Future Maestros series of concerts. The next eight participants will be automatically allowed to take part in next year’s Five for the Future. The Tamil Isai Sangam conducted the Pann research conference from 23 to 25 December 2014. The panns taken up for discussion were Desakiri, Malavakiri, Ariya kuchchari, Mudirnda kuchchari and Savagakkurinji. Their equivalent present day ragas were decided as Ranjani, Hindolam, Amritavarshini, Suddha Dhanyasi and Muktidayini (a janya of Vachaspati without the nishada). The researchers present were President of the Tamil Isai Sangam Justice P.R. Gokulakrishnan, Lepa Karu Ramanathan Chettiar, Dr. Ananda Nataraja Dikshitar, Dr. M.A. Bhageerathi, Dr. Sirkazhi Sivachidambaram (recipient of this season''s Isai Peraringnar title), Dr. Pushpavanam K. Kuppusamy, Tiruppanandal S. Muthukandasamy Desigar. Sirkazhi Thirugnanasambanda Oduvar, Muthukumarasamy, Dr. Lakshmi Poduval, Dr. Thangarasu, Dr. E. Angayarkanni and Dr.S.A.K. Durga. The Pann research conference was presided over by vidwan A.K.C. Natarajan. Music students of Oppilal Isai Palli, below 15 years of age, presented classical music on the keyboard at the Tamil Isai Sangam during the 72nd annual music and dance festival held at Raja Annamalai Manram in December 2014. The Oppilal School for Music was started three years ago in Abhiramapuram by Seeta Chidambaram, a patron of art and culture. A number of youngsters and women attend music classes in vocal, veena, gettuvadyam and keyboard. We start the Oli Concert Series 2015 with a blend of voice and flute, by two extremely talented youngsters. Welcome to this special concert to be hosted by Sri S Ravi, at his residence. The 'SKGS Diamond Jubilee Sangeetha Choodamani' title was conferred on nagaswara vidwan Seshampatti Sivalingam, and tavil vidwans Thiruvalaputhur T.A. Kaliyamurthy and Tanjavur T.R. 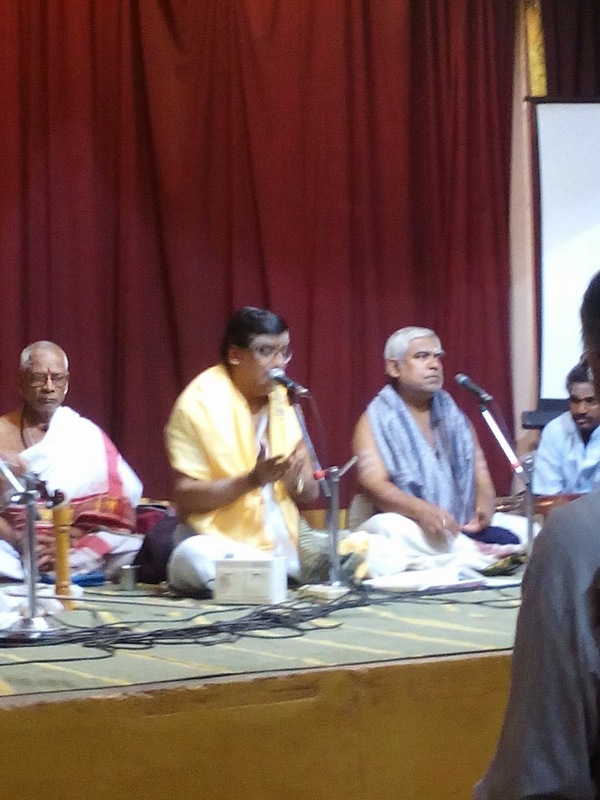 Govindarajan, during the 27th Pongal Nagaswara Isai Vizha organised by Sri Krishna Gana Sabha on 14 January 2015. Nalli Kuppuswami Chetti, President SKGS, chief guest Justice M. Karpaga Vinayagam Y. Prabhu, Gen.Secretary, SKGS, musicologist B.M. Sundaram and R.Venkateswaran.Joint Secretary are in the picture. 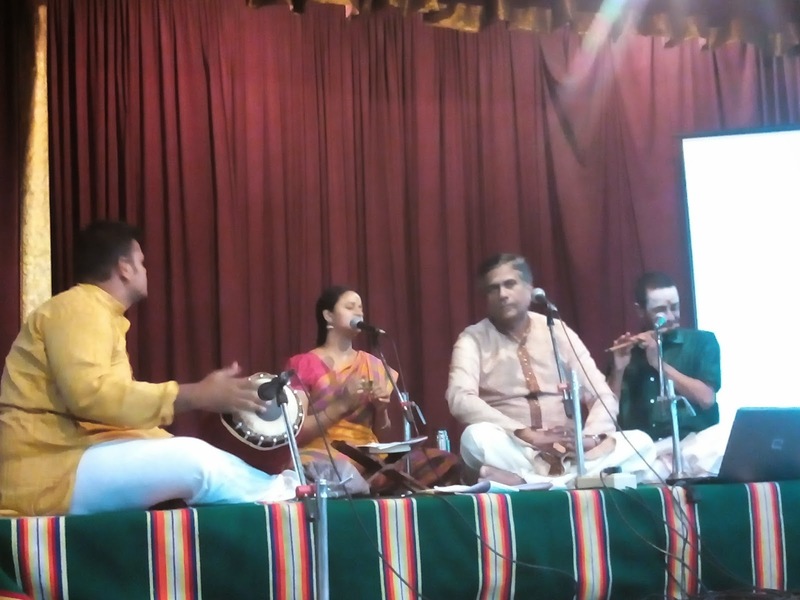 The final session of the lec-dem mela organised by Sruti and Karnatic Music Forum was a well-researched presentation by Carnatic musician Gayathri Girish. She presented ‘Different Aspects of Siva Bhakti’. 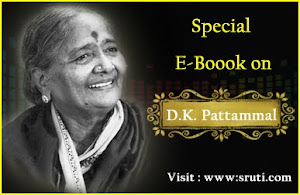 With Mullaivasal Chandramouli on the violin and Chidambaram Balashankar on the mridangam giving her able accompaniment, she took up songs composed by many saints to illustrate her given topic. Gayathri began with Tyagaraja’s Deva deva Sadasiva in raga Sindhuramakriya, where he implores the lord to bless him with devotion to his lotus feet. 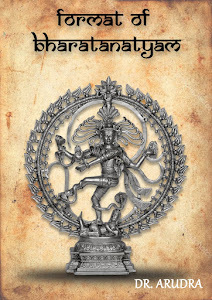 Bhakti can be in five stages – the lowest stage – manda bhakti – is when a person turns to God only in his hour of need; the madhyama bhakti is torn between belief and doubt; the highest, uttama bhakti is total surrender to God. Viswaroopa bhakti is seeing God in everything; and the last is the state of self-realisation. Srimad Bhagavatam tells us of the Navavidha bhakti – the nine types of devotion. The Bhagavad Gita talks of four kinds of bhaktas. Gayathri classified ten types of bhakti and demonstrated them with songs by different composers. Adi Sankara’s sloka Karacharanamva pleads for forgiveness for misdeeds – this shows the devotee’s misery. There are many songs where the composer despairs the life he has taken and pleads for release from the cycle of birth and death. Many are the songs that the seers sang in ecstasy, glorifying their god. Gayathri sang a number of songs by Appar, Sundarar and explained their literary beauty as well. Tanjavur Ponniah Pillai’s varnam Paavaai nee paaraai shows sringara bhava. Sakhyam is seen in Marimutha Pillai’s Enneramum kaalaithookki in Todi raga. The composer converses with Siva and questions the reason for lifting his foot – is it because he is tired after destroying Daksha’s yagna? Or is it that his foot is tired after kicking Yama? Or could it be that his foot is tired after the frenzied dance with Kali? Did the poison flow down to his foot from his throat? Is he dancing for the benefit of Patanjali and Vyaghrapada? The string of questions that the devotee nonchalantly throws shows his relationship with his god as an equal. 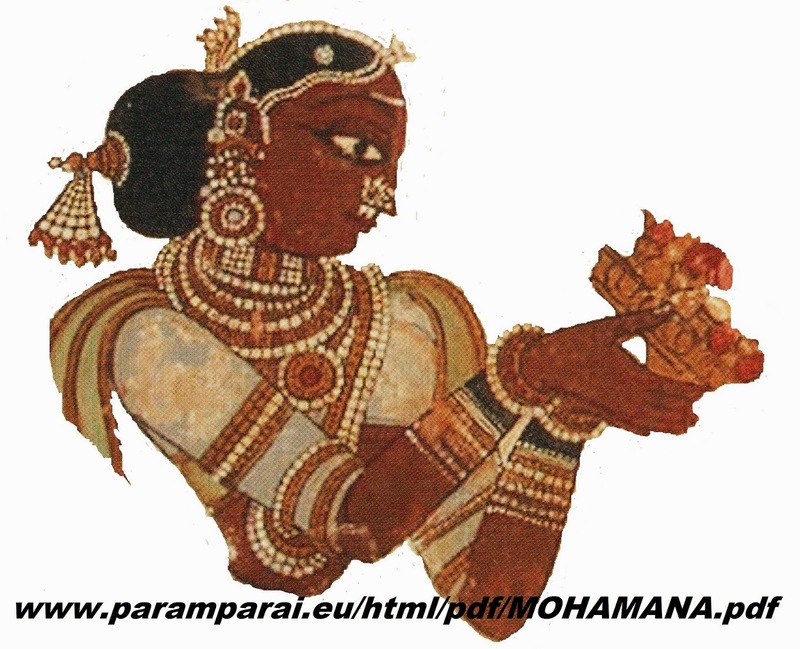 Papanasam Sivan’s Piravaavaram taarum asks for ending of the birth cycle, and for constant remembrance (maravaavaram). Neelakantha Sivan shows yearning and impatience in Endraikku Sivakripaivarumo. Simple and innocent bhakti is shown by simple village folk. This can be seen in Manikkavachagar’s song Kaasanimingal that is also set to a lilting folk tune. Total surrender is seen in Ramalinga Adigalar’s Tiruvarutpa. Gayathri said that every bhakta goes through the transition of various stages in his spiritual growth. She sang Tandaiyumtaayumguruvum in Surati to demonstrate this bhava. Kavi Kalamegam makes clever play of words in his verse Mukkaalukkegaamun. The obvious meaning is that one should cultivate bhakti early in one’s life before his faculties deteriorate. But what is amazing is his use of the measures used in those times to denote the periods in one’s life. Gayathri aptly concluded with Papanasam Sivan’s song Nambikkettavarevaraiyya, which includes many of the categories that she had listed out, and firmly reiterates that Siva bhakti will certainly, without doubt, lead a man to higher goals. Sruti Editor-in-chief V. Ramnarayan proposed the vote of thanks. It was certainly a successful lec-dem mela with good public response to all the sessions. The first session on the third day of the lec-dem mela was on ‘The Curative Powers of Compositions on Lord Siva’. 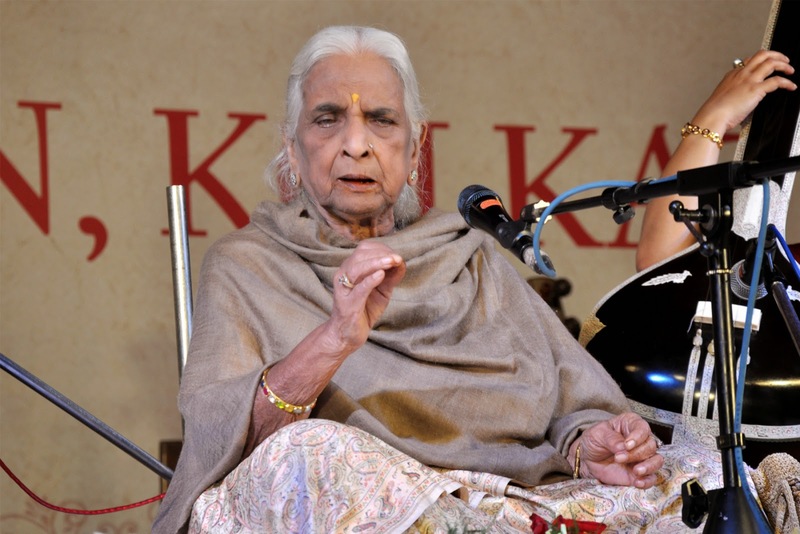 Usha Bharadwaj of Karnatic Music Forum, introduced Dr. Sunder as one of the pioneers in propagating Carnatic music among school children through monthly workshops and lec-dem sessions organised by the forum. A medical doctor by profession, Dr. Sunder believes in the adage “Doctors treat; the God of your faith heals you”. When a patient has faith in a doctor’s abilities to diagnose and treat his illness, his very attitude becomes conducive to healing. Such was the faith of the saints, in their utter surrender to their lord, that their words were embedded with spiritual powers that performed the magic of healing! Sunder’s talk was cohesively strung together, laced with his customary humour, that created an easy camaraderie with the audience. Demonstration of the songs by his students (vocal by J.B. Keertana with J.B. Sruthi Sagar on the flute) was music to the ears. Mridangam accompaniment by Satyanarayanan embellished the singing. The original Panns and their corresponding prevalent raga names were announced. Sunder aptly began by paying obeisance to Lord Vaitheeswara – the god of healing. He said that Saivite saints walked the land and spread the message of Saivism and its curative powers. In their songs, they included relevant episodes, the place where they occurred, and the characters involved. It is believed that chanting these songs could even today cure specific diseases. The following are some of the songs and anecdotes narrated by the doctor. A flu epidemic in Kongu Nadu was eradicated by Tirugnanasambandar’s song Avvinaikkuivvinai. The daughter of a chieftain in Tiruppaachilaachiraamam was cured of epilepsy when he sang Tunivalartingal. This song is believed to be an effective remedy for neurological disorders, diabetes, and hypertension. In Tirumarugal, the song Sadaiyaayerumaal helped a young bridegroom to recover from snakebite. It is believed that the song clears the way for marriages delayed due to sarpadosham. In Madurai, the chieftain Goonpandian was a follower of Jainism. His sister and minister invited Gnanasambandar hoping that the saint would be able to convert the king. The jains set fire to the ashram where Gnanasambandar stayed, but he escaped miraculously. The king was afflicted with typhoid that could not be cured. The saint applied the sacred ash (vibhooti) and the king was cured. The song, Mandiramaavaduneeru that contains both the episode and the curative aspect, was sung next. The song Vinguvinai is said to be effective in healing fractures, polio and other bone related problems. Mattittapunnaiyankaanam tells the story of how Poompavai came to life at Mylapore. While singing the Pathigams (ten verses) it is believed that with each verse, the illness wanes in stages, and the patient is cured by the time the song ends. Manikkavachagar’s song Poosuvadumvenneere is said to have cured the stammer of a child. Appar’s Ondrukolaam that brought back Navukkarasar’s child to life has the additional lakshana of each line starting with numbers, increasing one by one. Dr. Sunder pointed out that these songs were not only outpourings of bhakti, but were also rich in literary beauty. Some of Sundarar’s songs were demonstrated movingly by Keertana and Sruthi Sagar. Dr. Sunder concluded the session with a song that described all the parts of the body, Talaiye nee vanangaai, the singing of which is believed to protect the entire body from ailment. S. Janaki of Sruti introduced the Guest of Honour Nandini Ramani, who in her speech touched upon a few more sthalams where the deities were believed to be healers. She quoted Kalidasa “sareeram dharma sadhanam” – it is important to maintain a healthy body in order to be able to perform our duties. With the ever-present Sivam inside each of us, Siva aradhana is sure to help in healing. She praised Dr. Sunder for a well-researched and presented lec-dem that took everyone through a beautiful journey. Nandini also commended Gayathri Girish the next presenter for her multi-media series rendered over twelve months wherein she conveyed profound ideas in simple terms. 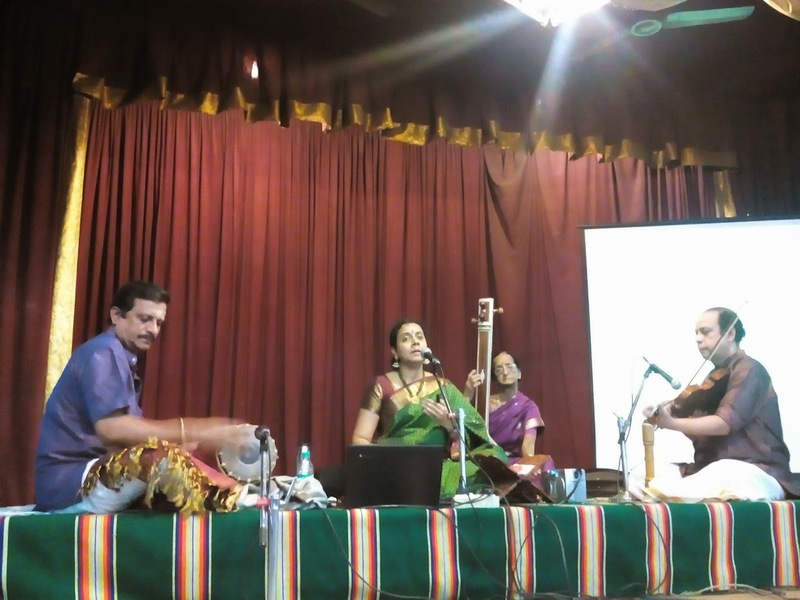 On 13 December 2014, the first session on the second day of the Lec-Dem Mela conducted by Sruti and the Karnatic Music forum at the Raga Sudha Hall, was by Udayalur Kalyanarama Bhagavatar. He presented Sivanama Sankeertanam under the broader theme of Sambho Mahadeva. Eighteen vocalists have qualified for Five for the Future, opening on 12 January 2015 and concluding on 17 January at TAG Centre, Chennai 18. 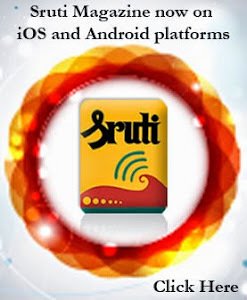 Kruthi Bhat, USA; and Karthik Iyer and Sowmya Sundar, Chennai. Siddharth, Bharathi and Abhishek, all from Chennai. Vasudevan, Janani Hamsini and Vikram, all from Chennai. Deepthi, Viswanath and Swetha, all from Chennai. Arun Shankar, Palakkad; Dhanya Dinesh, Bangalore; and Harikrishnan, Ernakulam. Anupam Shankar, Delhi; Mahathi, Calicut; and Sivaganesh, Madurai. Nadasangamam, the music wing of Narada Gana Sabha has been organising residential workshops for musicians and senior students of music since 2011 at at Thennangur, situated 117 km from Chennai. This town is famous for its Panduranga temple. Dr. R. S. Jayalakshmi is the convener and Dr. Sumathi Krishnan the coordinator for the event. Each year it is held either during the last week of January or early February. This year it is scheduled to be held between 6th and 8th February, 2015. Thennangur is a unique experience as great gurus come to teach and students get the rare opportunity to interact with them closely for a few days. 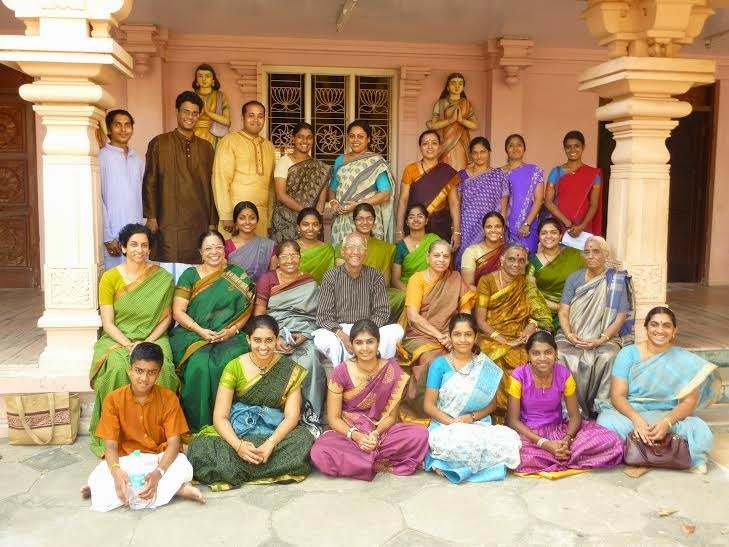 The routine is challenging, starting from yoga in the early hours, continuing with teaching sessions through the day and culminating in dolotsavam and bhajans at the Panduranga temple in the evening. R Vedavalli teach the subtle aspects of niraval in pallavi singing, and Chitravina N Ravikiran guide students in the complex art of constructing a balanced pallavi. AS Murali of Kalakshetra will take the students on a journey of swara singing and RS Jayalakshmi will anchor a session on allied ragas. Voice training and voice culture are a very vital part of the training and shaping of a musician. Dr. Shruti Jauhari, well known Hindustani musician presently training many students and on the panel of musicians at KMMC, A.R. Rehman's conservatory of Music, will conduct a session on training the voice. Renjith Babu and Vijna begin each day with their session on yoga. As trained classical dancers, they are aware of the requirements of a musician and their session is particularly designed for the vocal and physical health of a musician. Nadasangamam hopes to encourage young musicians and give them opportunities to meet and interact with senior musicians thus enriching their musical experience. Those interested in registering for the event may collect forms at the Narada Gana Sabha Office after 18th December.